Japanese Street Food: Tachigui Soba! What’s better than slurping hot soba noodles when you’re out in the cold? Slurping them when they’re hot, fresh, cheap and at a tachigui-style restaurant! Tachigui, which means “eating standing up”, is a popular style of eating in Japan, especially for quick meals while traveling, commuting or going out for the evening. Tachigui-style eating was first introduced in what is now Tokyo during the Edo Period (1603-1868). During that time, restaurant owners catered to laborers and working class people who needed inexpensive yet nutritious, fresh and flavorful food… the perfect setting for serving soba noodles in soup broth. 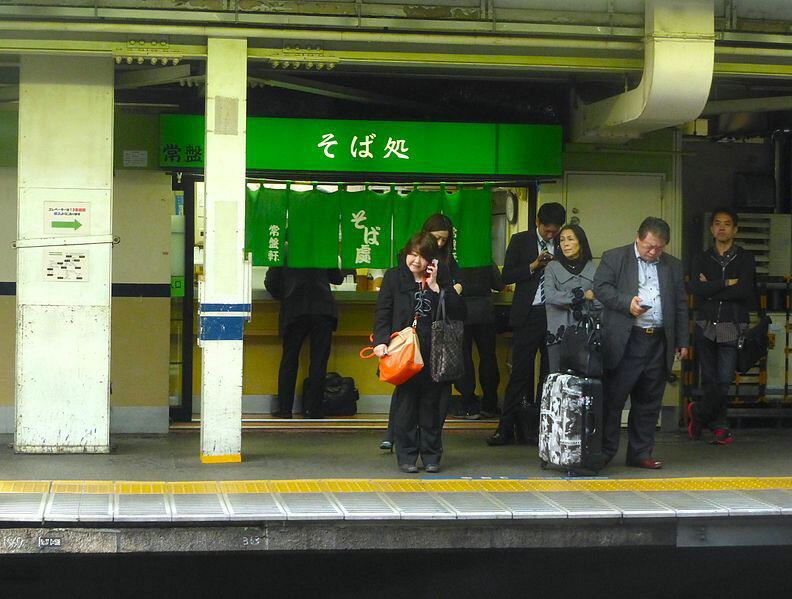 To minimize costs for space and service, tachigui shops offered standing areas for people to just eat and go. This style of eating spread across Japan and in modern day cities, tachigui-style restaurants can be found in close proximity to rail stations and commuter areas. Soba noodles in hot soup broth are still the most popular dishes served at tachigui restaurants, but hungry people can also find sushi, barbeque and takoyaki at tachigui stalls. Dining at tachigui restaurants is an experience. Since many are located at or near train stations, they offer only counter space for diners. 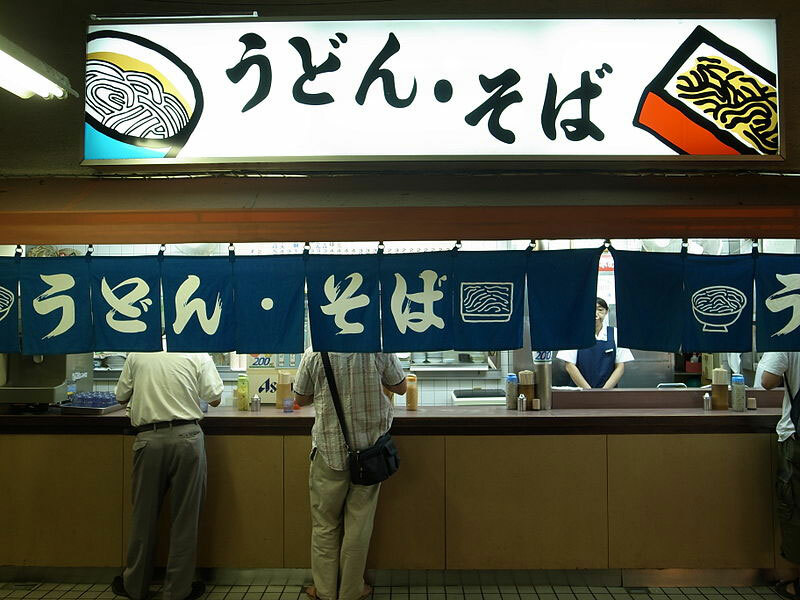 Diners purchase meal tickets called shokken for the type of dish they want from vending machines located at the stall. Meals range from the barebones noodles and soup to various toppings such as tempura, kakiage, eggs, fish cake and more. Once a diner purchases a ticket, they hand that to the server, and wait a few minutes for their bowl to be delivered. Tea and condiments are served freely on the counter. Meals are inexpensive yet incredibly fresh. Soba noodles are parboiled and freshened before being served to patrons. Basic soba soups start at around 250 yen or $2.50 and soups with many toppings won’t cost more than 500-700 yen or $5.00-7.00. Regardless of price, people from all walks of life and economic circumstances eat at tachigui stalls. Soba noodles are the perfect dish for a cold December going into the New Year and whether you’re eating tachigui-style soba noodles or toshikoshi soba, we hope you stay warm and have a great New Year! The spirit of cooperation and coexistence permeates Japanese culture in so many ways, from washoku to coexistence with nature to how relationships are nurtured. Giving gifts is a long-standing tradition among the Japanese, especially at the end of the year with the tradition of oseibo. Oseibo is the custom to show goodwill and gratitude to those who have contributed to one’s life, such as to relatives, bosses, or caretakers. Oseibo gifts are often items that the recipient uses every day, such as condiments, cooking oils and sauces, detergents and cleaners, as well as specialty items like alcoholic beverages, gourmet sausages and seafood. Gift certificates also make popular gifts. Oseibo gifts never go to waste, as the items are always useful! 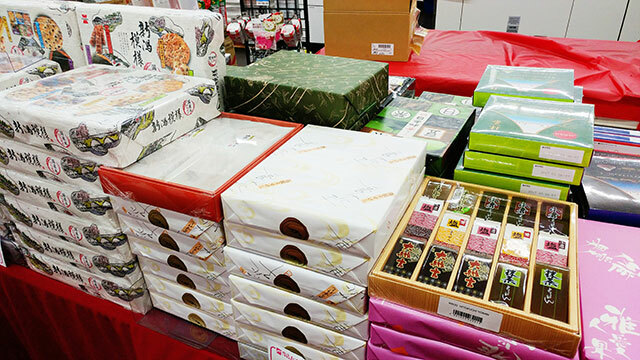 Department stores frequently setup special sections for oseibo gifts, with the monetary value of gift options ranging from 2000-5000 yen, or 20-50 US dollars. Once an oseibo gift has been selected, how it is packaged and presented is just as important as what it contains. 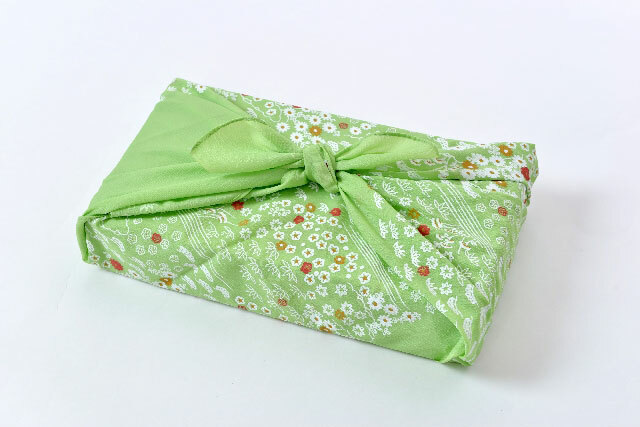 Each gift is packaged nicely and wrapped in special decorative paper labeled with language specifically denoting that it is an oseibo gift. The gifts are either delivered by the store or online retailer or given in-person following the Japanese tradition of giving and receiving with two hands. Oseibo traces its roots to the Japanese custom to pray for one’s ancestors’ spirits during obon in July and on New Year’s Day. During these times, neighbors and relatives used to exchange the offerings. This tradition turned into gift giving, once in the summer (ochugen) and once at the end of the year (oseibo). Today, oseibo is practiced as a custom to show formal respect and gratitude. Because oseibo gifts are practical as well as pleasing, recipients always find creative ways to incorporate their gifts into their lives, especially when the gifts are of food items or beverages. An oseibo gift of whiskey or brandy turns into a lovely hot toddy during the cold winter months. A gift of smoked seafood turns into a lovely terrine de poisson or seafood jeon. 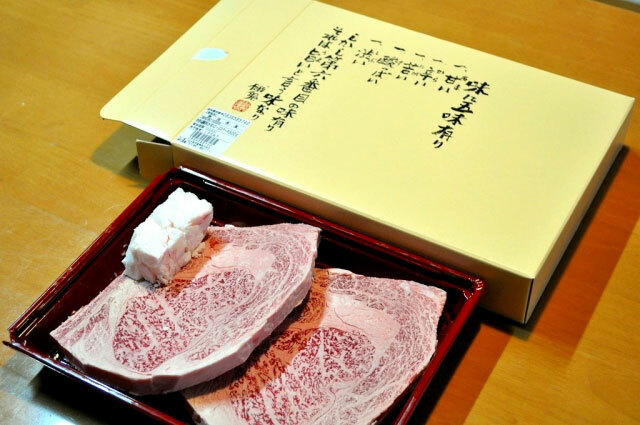 And gifts of gourmet meats and sauces can be used for barbequing and stir-frying teppanyaki. What do you think would make a nice oseibo gift? And if you receive an oseibo gift, what do you plan to make with it? Let us know in the comments below, and from Zojirushi to you, we hope you have a great end of year! We’ve loved all of the rice dishes we’ve tried this year, whether from Asia, South America, the United States or Europe! But we can’t end the year without discussing the myriad desserts and snacks that are made from rice. Just like those dishes that use rice in its grain or noodle form, many cultures have used this ancient grain in sweet desserts and savory snacks. The ever-popular rice cracker is a sophisticated snack when made Japanese-style. There are two types of rice crackers most commonly made: senbei and okaki (seen in top photo). 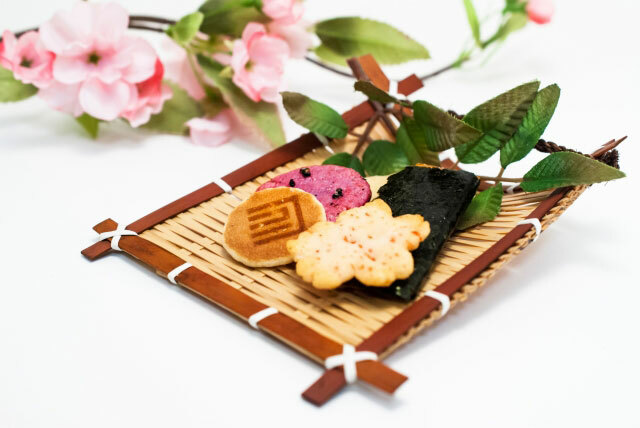 Senbei crackers, which originated in China, are made with Japanese short grain rice called uruchi mai and okaki are made with sweet, glutinous rice. These rice crackers come in various shapes, including square, rectangular, round and as balls, and they can be made by baking, charcoal grilling or deep frying them. We love making this relatively easy okaki-style rice cracker at home, called kakimochi. Try them out and tell us what you think! Indian food also has a rich tradition of creating savory rice crackers, one of which is chakli. Chakli is made using rice flour mixed with gram flour, lots of spices such as turmeric, ajwain, cumin, chili and clarified butter, or ghee. The batter is poured through a chakli maker into hot oil, and fried until crispy. 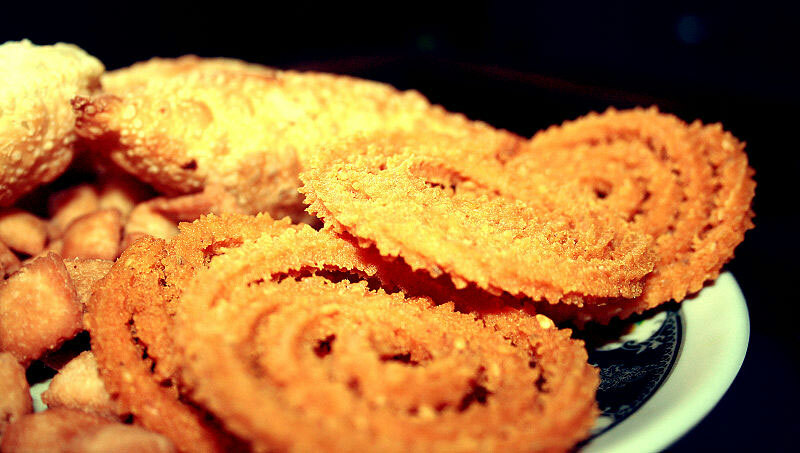 Whenever you’re in the mood for a spicy rice snack, try making chakli. Desserts made from rice are just as popular as snacks, starting with rice pudding! Rice pudding is made across the globe, from Southeast Asian kheer to South American arroz con leche. Arroz con Leche Colombiano is sweet and redolent of cinnamon. Long-grain rice is cooked in a mixture of milk, condensed milk, water, sugar, vanilla, cinnamon and butter. The final product is cooled until thick and creamy… just perfect for a holiday occasion. Another well-known rice dessert is mango sticky rice, found in many Thai restaurants across the United States and in beach cities across Thailand. 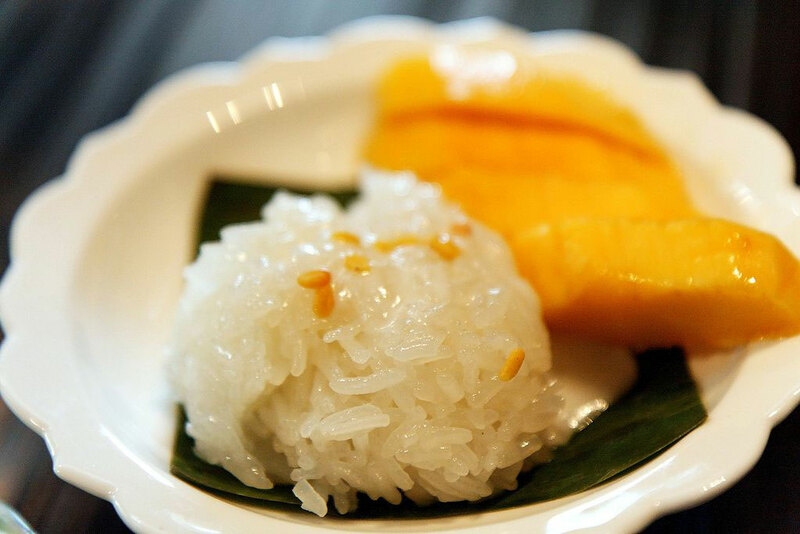 Soaked sticky rice is cooked and then simmered in coconut milk, sugar and salt, and topped with peeled Thai mangoes. It’s a refreshing way to end a Thai meal! Rice desserts can be simple or more colorful and intricate, like the traditional Chinese Ba Bao Fan and the Korean gyeongdan. 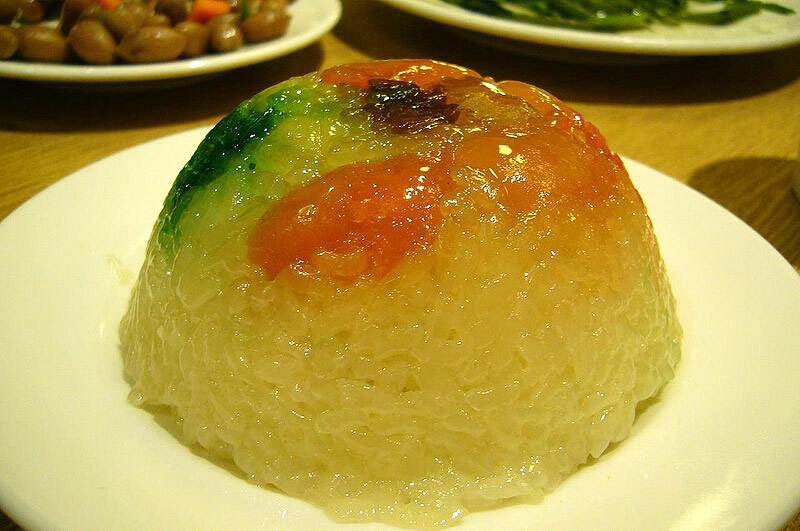 Ba Bao Fan or “Eight Treasure Rice Pudding” is a traditional dessert served for Chinese New Year in China. This dessert is made by layering eight “treasures” or special ingredients such as sugar-glazed fruit or and sweetened beans onto a base of glutinous rice and sugar. It gets its name from the belief that the number eight is a lucky number for Chinese people because of the similarity of the sound of “ba” (eight) and “fa” which means wealth and prosperity. Gyeongdan is a rice cake made using glutinous rice powder and hot water. The paste is formed into round balls which are coated with multicolored sweet bean powders. No matter what you’re in the mood for… rice desserts, rice snacks, rice, rice noodles, rice paper, rice dumplings… this amazing food can satisfy all your cravings! We hope you make a lovely dish for your New Year celebrations and that you share them with us! 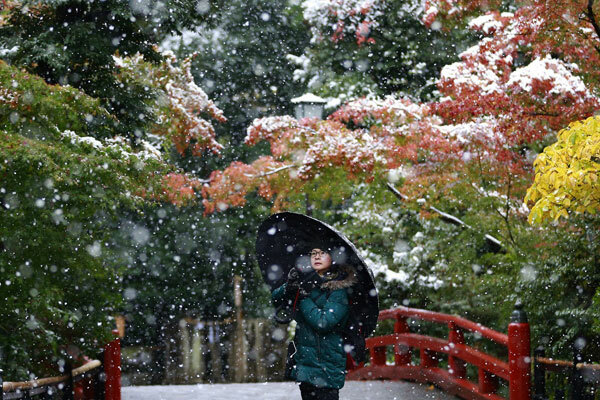 When I first heard about the unusually early November snowfall in Tokyo, the first time in over 54 years for the nation’s capital, it immediately brought back memories for me because, yes, I am old enough to have been there for the last time that happened. Just to put that period of time in perspective, in 1962 there was no bullet train yet, there were no skyscrapers in Tokyo, and there were no Western style toilets yet! The second thing that came to mind was global warming, but that discussion belongs on another blog. Here in sunny SoCal we don’t do snow, do we? But we do make snow–we make it at our local mountains during ski season. And we can drive up there in a few hours! So you can grumble all you want about not having real snow, but it’s hard to complain when the surf and mountains are so conveniently close! Snow Machines Personally, I find it incredible that real snow can be blown out of machines and cover a whole mountain enough to ski on. 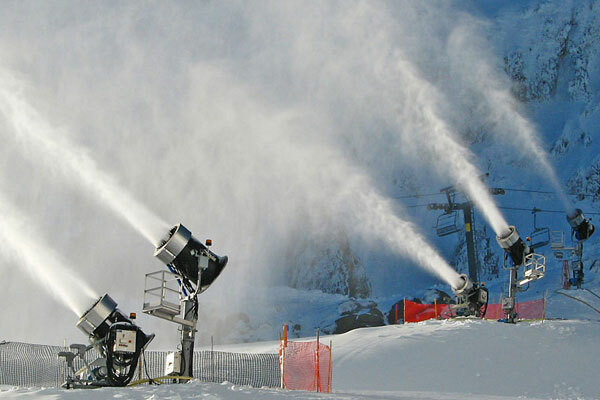 These snowmakers literally break water up into small particles, freeze them and blow them into the air in one process. They use massive amounts of water to do this–to cover an area of 200ft. by 200ft. with 6 inches of snow, they need 75,000 gallons of water! Most ski areas are converting 5000 gallons of water per minute, into snow. And besides making snow for skiing, these machines can create snow blankets to protect crops during freezing weather and are also used to test the snow worthiness of cars and airplanes. Recently snowmaking has resorted to using reclaimed waste water, which not only conserves water during our drought–it gives all of our ski resorts a way to stay in business. Snowflake Perfection This amazing photograph of a single snowflake was taken by amateur photographer Alexey Kljatov, who says that anyone can do the same thing with a simple point-and-shoot camera and a lot of persistence, patience and luck. 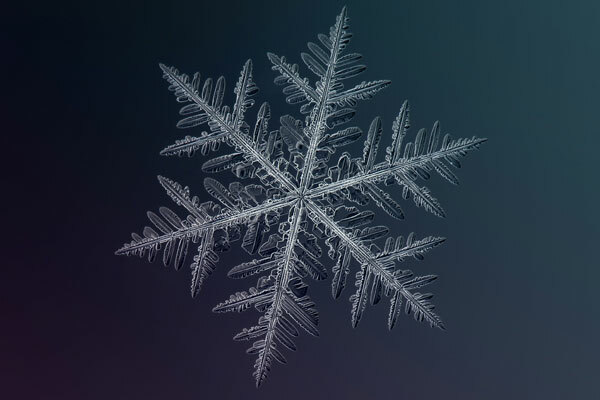 This is his hobby, and it fascinates him for the same reasons snowflakes mesmerize all of us–they’re beautiful to look at up close. Even though they say that no two snowflakes are alike, that’s not entirely true. If you look at them with a microscope, down to the molecular level, of course they’re all different. But at the superficial level, they start to look alike and can be classified into 35 distinct shapes. These flakes form their distinct shapes based on the atmospheric conditions surrounding them. Different conditions and temperatures, different shapes. What causes snow anyway? When water vapor in the air drops below freezing, it crystallizes around particles of dust–then boom, snowflakes! 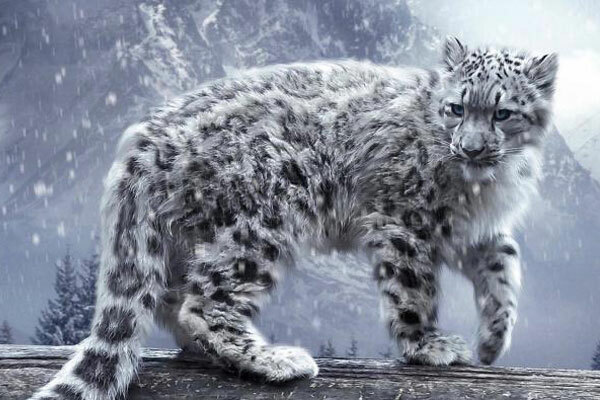 The Sacred Snow Leopard I had a friend once who traveled to Nepal and came back with all kinds of insights into the meaning of life and our place in the universe. Nepal will do that to you I guess, being close to the highest elevation point on the planet. Imagine being high up in the mountains at close to 17,000 feet. The snow leopard hunts wild sheep and goats in silence, almost as quietly as the falling snow. They are built for this harsh environment, with long thick fur to protect them against the cold and wide padded paws that make for natural snowshoes. They also have extra long tails which help them balance when climbing steep, rocky slopes. These magnificent big cats are fascinating to me, and sadly they are on the verge of extinction as farmers encroach on their habitat, and natural food sources become harder to find due to climate change. They are also being hunted and killed by poachers for their fur. It is estimated that there are only about 6000 snow leopards left in the world, most of them in China and other parts of Central Asia. Interestingly, they have been protected the most by Tibetan monks, who live in close proximity to their habitats. Buddhist beliefs dictate a respect and compassion for all living things, and protecting the snow leopard is just one aspect of their spiritual values. For more information on the disappearing snow leopard you can go to the Snow Leopard Conservancy site. Hawaiian Snow Ha! Just an excuse to get my favorite dessert into this post! 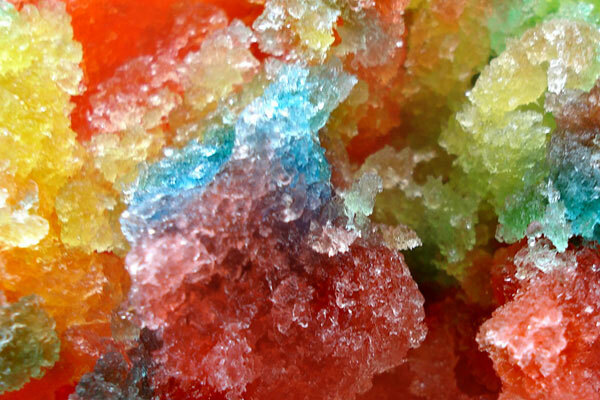 Shave Ice is basically snow with syrup on it, right? So don’t eat the snow off the mountain–it might be recycled waste water! Eat shave ice instead!